One of the most famous and recognisable aircrafts in the world, Boeing have an abundance of fans in the aviation industry. To help aviation fans show their support, Boeing have created an exclusive range of branded Boeing aviation gear and Boeing aviation gifts that are available to take home and enjoy whether on the ground or in the sky. 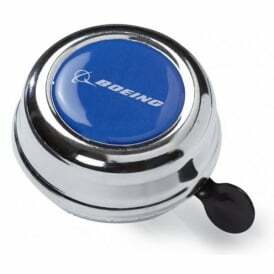 Choose from Boeing gifts such as novelty Boeing mugs and pins, or invest in Boeing collectable aircraft models and t-shirts. Shop for more aviation gifts here at Flightstore to discover more iconic aviation branded merchandise.